October is a busy month for Conner and me. Conner has football and will be traveling with the team 3 of the 5 weekends this month. I am thankful for the by-week at the end of the month because we are getting our engagement photos done! I am so excited for the photo shoot. On top of football, Conner taking the GRE, midterms, and work, I will be moving this weekend. I really loathe moving, mostly because I do not like things out of order. I feel the need to unpack everything right away so I can find everything. Needless to say, I am skipping the home game this weekend so that I can pack, move, and unpack in a span of 48 hours. Anyways, back to the wedding road map. The tasks are few (see previous Fall post), however significant things are taking place. One I will highlight today is our Engagement Party. My family has been working hard to make this special for Conner and me. I have not been involved, as they want to keep it a secret. Even though I do not like secrets, it is nice to be able to relax and actually enjoy the party rather than planning it 😉 I was able to find out the theme and what the invites look like. How creative are these! 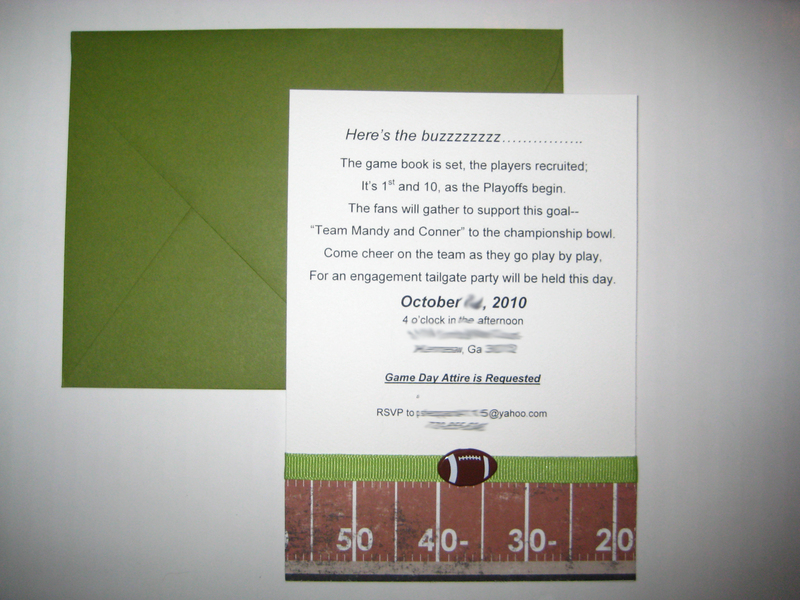 My family decided on a tailgate themed shower and my mom created these fabulous invites. The party is at the end of the month so I will be sure to show you a full recap. 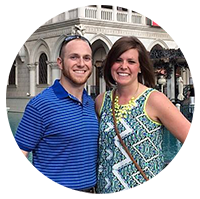 I am so excited to celebrate with our friends and family that Conner and I will be married in 10 months. This entry was posted in Uncategorized, Wedding and tagged engagement party, family, wedding planning. Bookmark the permalink.